Normally when people make a big deal about their own birthdays you tend to think it is obnoxious. I’d like to think this is different because it is not any one person that has made the last 30 years possible, it is because of everyone in our community, especially YOU! Thanks to our longtime supporters and friends who started our House on Sept. 10th 1984, thousands and thousands of families have found refuge from the daily grind of the hospital by having a warm and inviting “home away from home” to return to each night. We’ve been celebrating all year long but here are some special things that happened today in honor of your 30 years of hard work, love, and compassion! 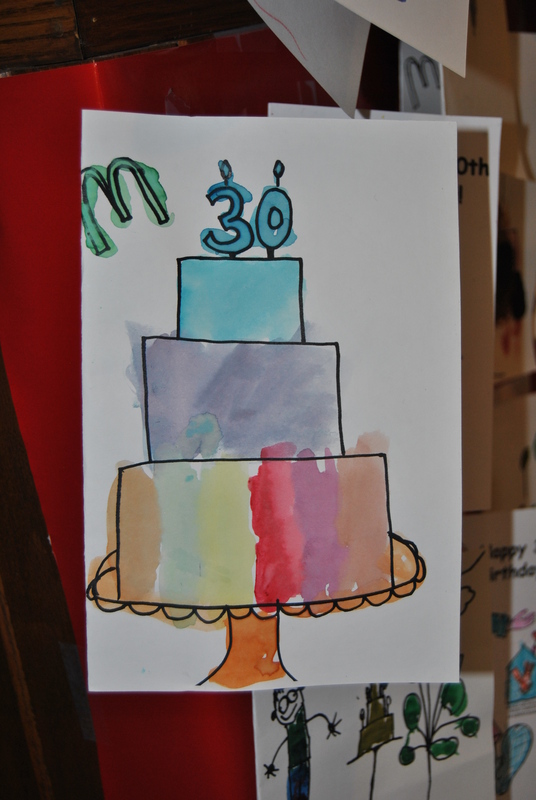 McDonald’s provided birthday cards and crayons in their restaurants for people to color and delivered them to our House as well as schools and individuals made their own cards! Various news outlets came by our House today to hear about the birthday cards and the $5,000 donation that McDonald’s gave in honor of our special day! (be sure to watch tonight) And 99.7 DJX was at the Stoneybrook McDonald’s this morning and interviewed Christina. McDonald’s Owner/Operators presenting RMHCK staff their $5,000 donation! 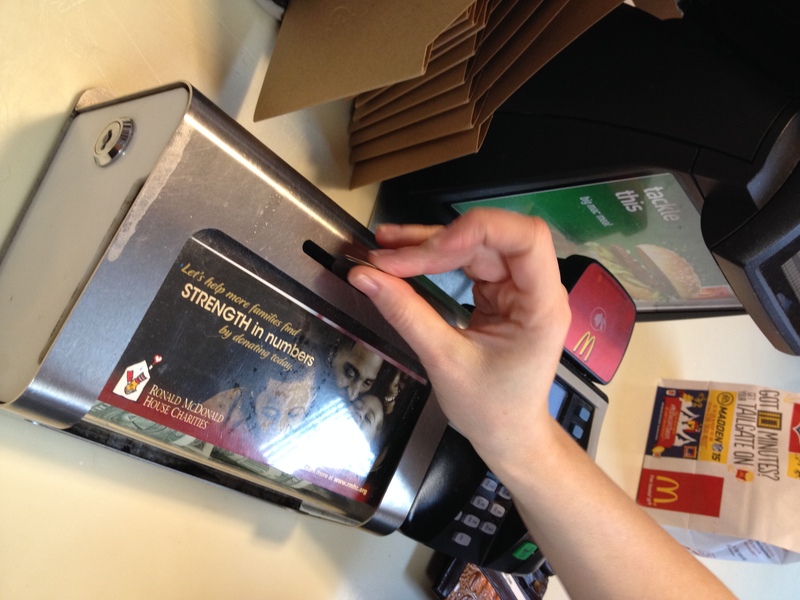 Local McDonald’s Restaurants sold .70 cheeseburgers and encouraged customers to donate the .30 change into our donation boxes! 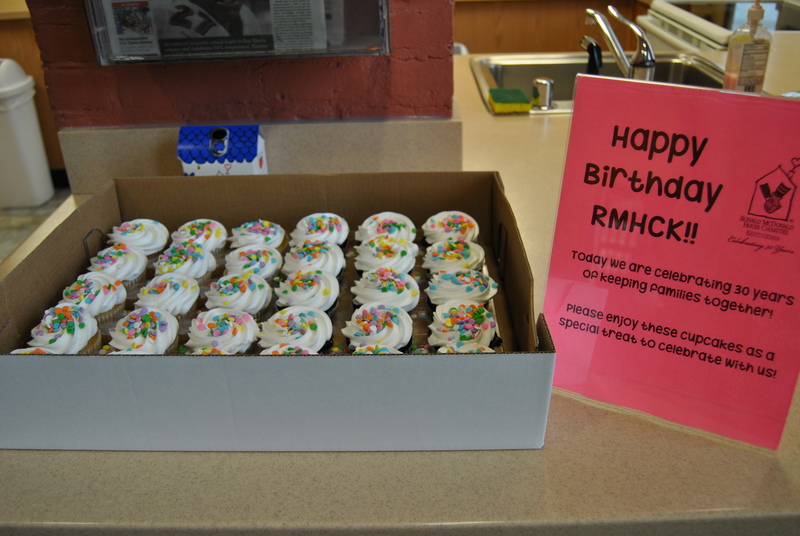 We brought in birthday cupcakes for our families!